The two skin folds that range from each side of the nose towards the corners of the mouth are known as nasolabial folds. Facial structures that reinforce the buccal fat pad outline them. The cheeks are separate from the upper lip by them. 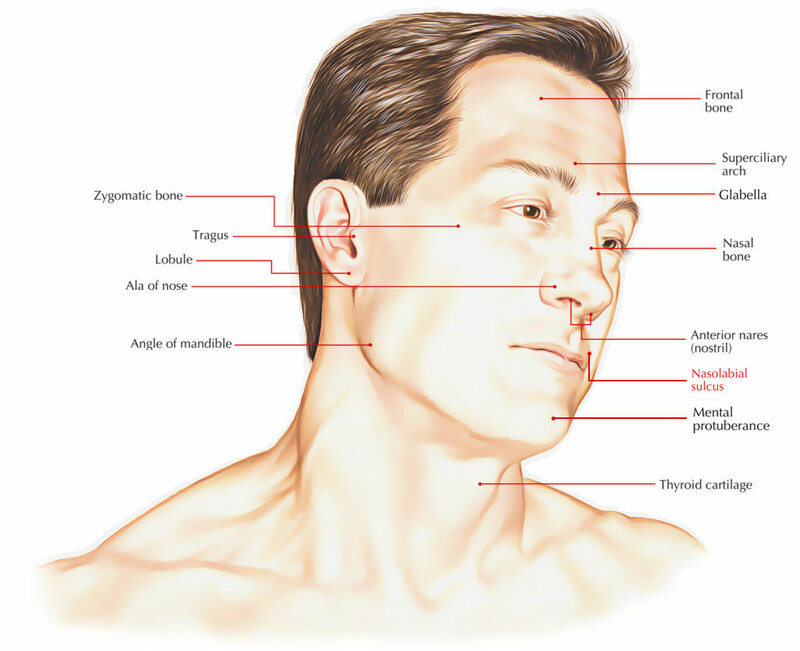 In order to create the nasolabial fold, the dermal muscle attachments of the levator labii superioris, zygomatic major/minor and the risorius go through the Superficial Muscular Aponeurotic System (SMAS). The muscular SMAS (modiolus) and the non-muscular SMAS (subcutaneous tissue and fat) also create the nasolabial fold. In youth, the nasolabial fold is supported by a muscular and tonic modiolus and SMAS. The SMAS also reinforces the buccal fat pad and fixes it in place, which stop forward bulging that makes a deep (concave) nasolabial fold. When proper lip support is present nasolabial sulcus, philtrum and junction of the mouth show a distinct, normal presence. There is a deepening of the nasolabial sulcus, philtrum is compressed, nasolabial angle is obtuse and commissures drop, if the rims are labially under extended. The sulcus is one-sided and low, philtrum is eliminated, nasolabial angle is acute and commissures are stretched laterally, if the rims are overstretched. Along with the subsequent ptosis, the decrease of muscle tone of the modiolus and SMAS adds towards the growing of the nasolabial fold along with aging. This contributes towards the continuing deepening of the nasolabial fold over time along with the overlying fat and dermal atrophy as well as osseous resorption. The malar tissues become ptotic, but fat cannot go through the nasolabial fold because of the dense fascia to dermis adherence within the fold, along with the destabilizing of the cheek-retaining ligament system. This gathered up tissue is located lateral towards the fold, making it deeper.